February is overall a mild and dry month. Temperatures dipping below 10 °C (50 °F) are considered very cold in Hong Kong. The average low and high temperatures are 11 °C (52 °F) and 25 °C (77 °F). 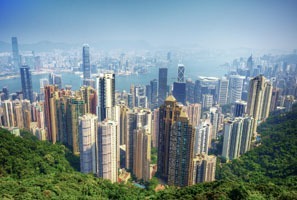 It’s a pleasant month for visiting Hong Kong for the pursuit of outdoor activities. Not surprisingly then, heading for the hills and hiking trails is to be recommended. The weather is mostly cloudy in February. Compared to January, you have a lower chance of being able to enjoy the sunshine. Ultraviolet radiation rises in February, but it is still not very strong. You may not need sun protection. There are more rainy days (about 6) and a little more rain in February (about 50mm or 2 inches). There is mainly light drizzle. Rain is rarely heavy. The humidity level increases a little, but the weather is still dry and cool to warm. Moisturizers are useful. Cold fronts bring a dry northerly wind and cause more rainfall. The temperature in the center of the city may drop below 10°C (50°F) at night. In higher altitudes in Hong Kong, such as the New Territories and the high ground, the temperature may drop below 0°C (32°F), with occasional snow. Be aware many flowers bloom in February in Hong Kong: camellia, canna, pinkball, Chinese ixora, Taiwan cherry, marigold, etc. If needed, please prepare a mask or medicine. Winter clothes are suggested: Generally, a shirt and sweater are enough for the daytime, although you should take a light coat as it cools down in the evenings. Take a light windproof or waterproof jacket to keep warm on the hills. Prepare or buy some face cream and hand cream. An umbrella can be useful. You may pack one in advance or let us prepare one for you. 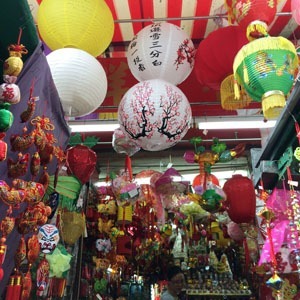 The Spring Festival is usually in February. The traditional festival runs for totally 16 days. It is the greatest and longest festival in Hong Kong. 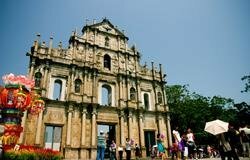 During the festival, there is usually a big international Chinese New Year Parade in the streets of Tsim Sha Tsui, an impressive fireworks display over Victoria Harbour, and Chinese New Year horse races at Sha Tin Racecourse. Want a firsthand experience of the local customs? You should visit a flower market. People like to buy all kinds of sweets and put them in a special box called chuen hap. 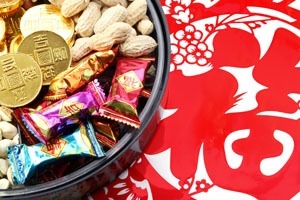 Eating these sweets means you will enjoy a good and sweet year. The Lantern Festival marks the end of the Chinese New Year celebrations and the beginning of spring. Lanterns are lit and hung from trees in public parks, beaches and throughout urban areas. An extensive exhibition of lanterns takes place at the HK Cultural Centre in Tsim Sha Tsui every year. The Spring Lantern carnival is also held at the Centre. It consists of a series of events and performances by different guest groups. Every year during the Spring Festival, local people and travelers gather in Lam Tsuen, Tai Po, to make a wish. This is a good chance to observe the local culture and a chance to make your own wish. People write their wishes on joss paper and through it up to a wishing tree. People believe that if the joss paper doesn’t fall to the ground, their wishes will come true. You may also make a wish by lighting a lotus lantern. February is a pleasant month for the pursuit of outdoor activities. Heading for the hills and hiking trails is recommended. 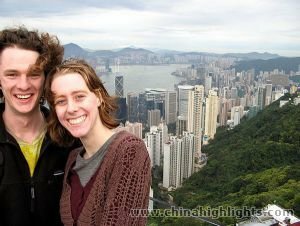 Dragon&apos;s Back is a famous Hong Kong hike just minutes from some of the most densely populated places on earth and was voted by Time Magazine in 2004 as the best urban hike in Asia. Vantage points along the hike offer splendid vistas of fishing villages, secluded bays and uninhabited islands stranded in the turquoise waters of the South China Sea. 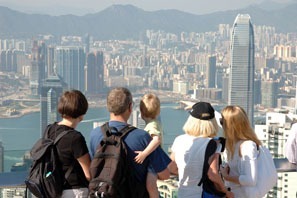 Learn more about Hong Kong Island hiking. February is in the peak season. February is a busy month in Hong Kong. 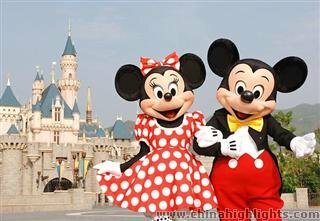 Though the Chinese New Year rush doesn&apos;t affect Hong Kong as badly as mainland China, Hong Kong will still be very busy as most people will be on holiday. Hong Kong hotel rates also jump up since mainland tourists flock in during the Chinese New Year rush. You are recommended to book your hotel in advance. 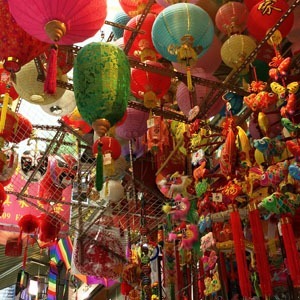 The first 3 days of Chinese New Year are a public holiday in Hong Kong. Banks, some public service agencies, and small shops are temporarily closed. The public transportation continues to operate as usual. Most tourist attractions, including theme parks, will also be open as usual. Do the above tours not meet your requirements? 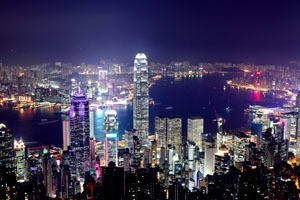 See more our Hong Kong tours. 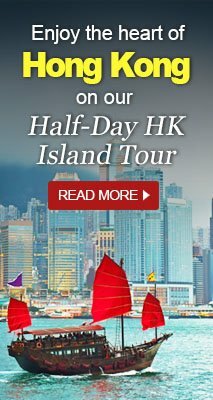 Or contact us and let us help you plan a personalized Hong Kong tour.